This summer sees a special tour hit the UK care of occult idol outfit NECRONOMIDOL. Along for the ride will be 2 other idol acts traveling under the banner of the Black Winds Over Albion tour. 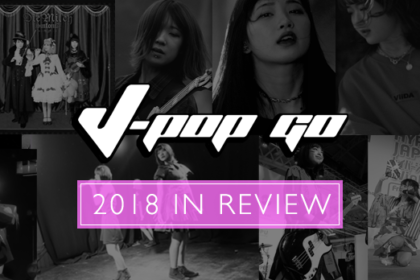 This venture is once again being masterminded by those fine people at ORIONLive UK who brought NECRONOMIDOL to the UK for a special showcase performance in 2017. Originally formed in 2014, NECRONOMIDOL began life as an 8-piece unit before slimming down to its current line-up of 5. 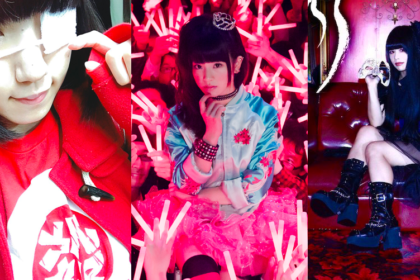 The group’s current line-up consists of Risaki Kakizaki, Sari (the group’s shironuri performer), Hina Yotsuyu, Rei Imaizumi and Himari Tsukishiro. 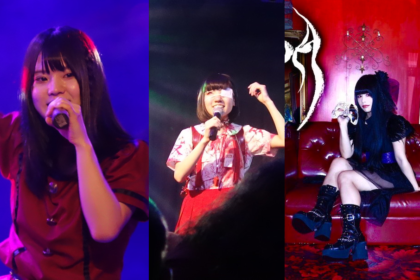 NECRONOMIDOL have emerged from a particularly vibrant period for underground idol acts. 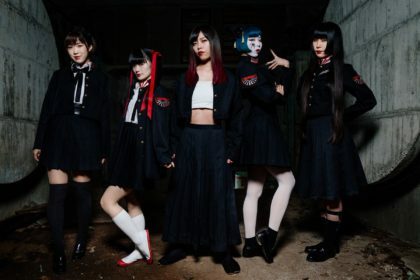 Founded by Ricky Wilson, the outfit have adopted a combo of metal influences and an occult visual element to produce an attention-grabbing idol group. Formerly a native of Pittsburgh, Wilson moved to Japan and originally dabbled as a vocalist in a few local rock outfits in Kumamoto. He later moved to Tokyo (along with his soft vinyl toy outlet) and was struck by the underground idol movement, keen to form an idol group of his own. NECRONOMIDOL was the result. The sound of NECRONOMIDOL draws from a broad palette that sets them apart from similar outfits that have adopted a classic metal approach. 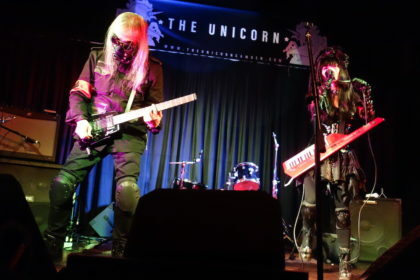 While that heavy sound is found and clear on some of their output (‘End Of Days’), the group also play around with synth-driven darkwave efforts (‘Skulls In The Stars’). Meanwhile, compositions such as ‘ITHAQUA’ appear to straddle all of their influences at once. NECRONOMIDOL will also be appearing with a full band for their London outing. Associated with Japanese rock outfit 6% IS MINE, Screaming Sixties was formed as the idol image of the punk band. Fronted by Kai and Montero, Screaming Sixties have a striking visual image of black leather and masks that gives them an air of mystery. As an outfit, Screaming Sixties knock out tunes such as ‘ONLY PLACE WE CAN CRY’ that boasts a tight production along with a garage punk energy. The treated vocals of Kai and Montero suggest a touch of FEMM (if FEMM were re-cast as a hard-hitting punk outfit). 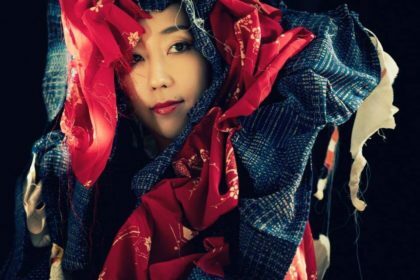 Originally starting out as a duo under the moniker Double And, founder-member Saki carried on when her fellow idol Saya left. Rebranding herself as 2& (“Saki+YOU=2&”), Saki (who was also part of idol outfit Guso Drop for a time) has carved out a reputation as a hard working idol artist clocking up a large number of live performances. There’s a rough, unpolished approach to Saki’s performances which lends an energy to live shows that capture the spirt of underground idols. 4th June Night & Day Cafe, Manchester, 5th June Hare & Hounds, Birmingham, 6th June Underworld, London. Tickets are priced at £10 (Manchester & Birmingham) and £17 (London). Tickets will be on sale Saturday, 3 March 10am via SeeTickets.